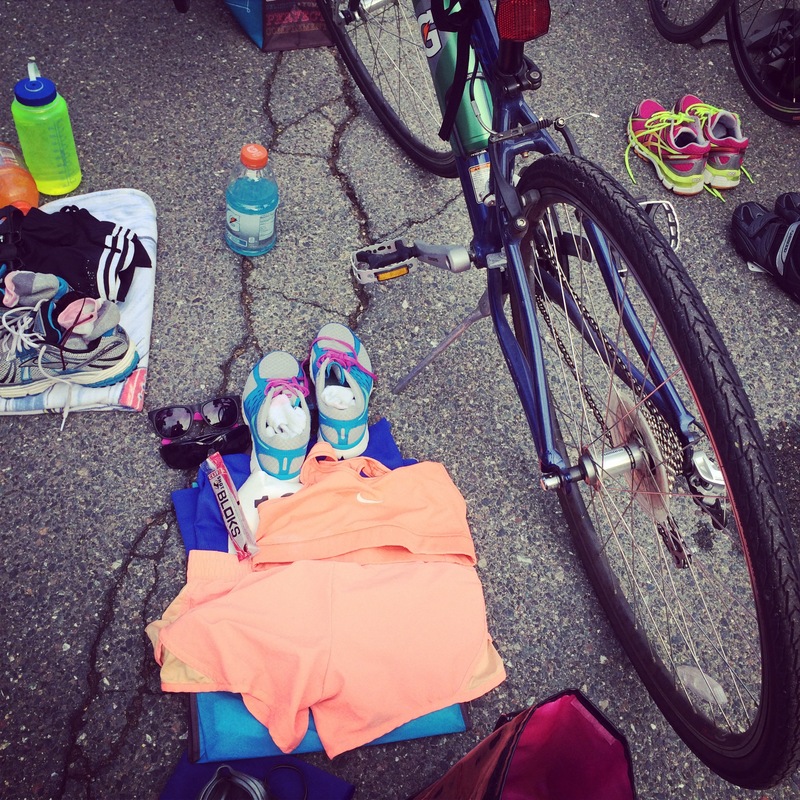 I signed up for another triathlon! I have seriously needed to start training for something again and the Brickman Triathlon is a great race to do just that. The Brickman is a sprint distance triathlon which means short…and great for first timers or peeps like me who enjoy training but have a real life as well. I would love to live in triathlon training world where I had hours upon hours each day to swim bike and run but alas, I live in the real world and have to go to work every day. The swim is in a pool…yay! This means warm and quick. I do LOVE swimming but I also enjoy the ease of starting the swim portion of a triathlon staggered so I don’t have strangers kicking me in the face. The bike is 3 loops around a flat, 3.4 mile course. Unlike the Triathlon by the Sea, this course isn’t particularly scenic but that’s ok, it just means I’ll have to concentrate on pedaling faster. Zoom! The run is a super flat, 4.5 loop course around the town common for a total of 3 miles. Nothing much by the way of scenery. I remember it being really cold 4 years ago and feeling good running. I was cruising along, minding my own business and I saw a MAN doing a walk of shame home carrying HIS HEELS!! Yes, a cross-dressing-walk-of-shame!! If I can only be so lucky this year to see such a sight. Not too bad. But I would love to beat it. Look at that run time though…great min/mi for a tri! Does anyone else have any fall races they are gearing up to train for?